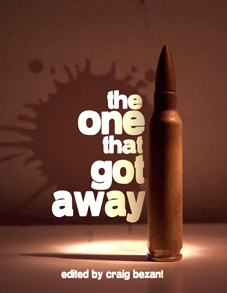 Dark Prints Press presents its first crime anthology: The One That Got Away. Too often our crime-solving heroes do just that – solve crimes. But what about the ones who get away – the grifters who con and don’t get caught, the criminals who play cat-and-mouse games with the law only to disappear into the unknown? What goes through their minds, or the minds of their victims and pursuers? What legends do they leave behind, both inspirational and terrifying? Click here to purchase your copy! Digital edition coming soon!